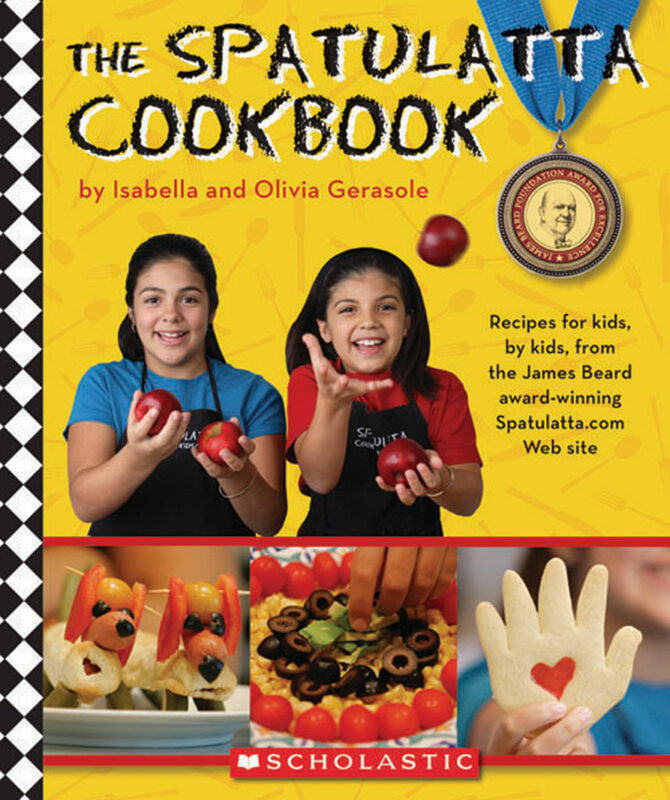 The Spatulatta Cookbook is the book companion to the James Beard Award-winning Spatulatta.com webcast featuring the Gerasole sisters, Isabella (age 11) and Olivia (age 9). Containing more than 50 fun recipes arranged by season, The Spatulatta Cookbook includes easy to follow step-by-step instructions and photos; special sections for vegetarians and snack foods; basic cooking skills; plus information on weights and measures. Isabella and Olivia Gerasole became the youngest winners in the 16-year history of the James Beard Foundation Awards when they won the medal for their webcast on the Spatulatta.com website (www.spatulatta.com). They have appeared on the “Today Show,” “The View,” “The Tonight Show with Jay Leno,” among many other national media outlets. Launched in April 2005, Spatulatta is a forum for these spunky sisters to teach other kids how to cook and eat well. Isabella and Olivia inspire and motivate other kids to become chefs and have fun while making healthy meals and snacks.